Interested in some great books and curriculum kits to share with your Filipino-Canadian students? Here are a few favourite resources to get you started! With over 60 pages dedicated to Philippine history and culture, children can practice baybayin script writing, learn about national hero Jose Rizal, or read about mythical creatures like the aswang! Hoy! A Philippine Islands Activity Book is a wonderful collection of colouring pages, mazes, and puzzles awaits children ages five and up. Designed and illustrated by Toronto-based Filipino-Canadian educator, artist and facilitator Eric B. Tigley. 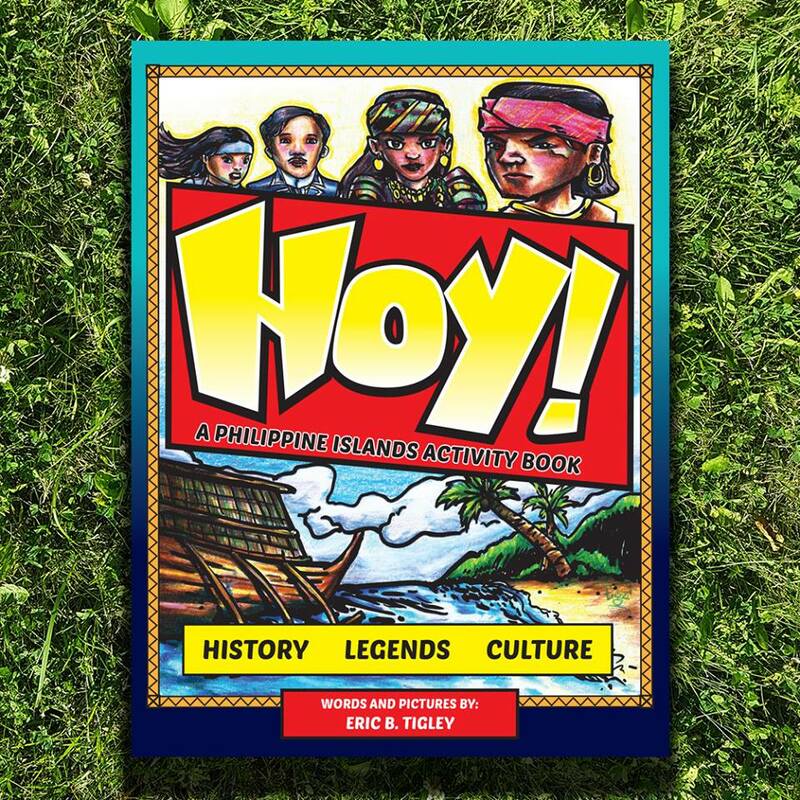 In this must-have book for elementary school classrooms, Filipino Celebrations will encourage young readers to learn more about Filipino culture. While a teacher might think that Filipino celebrations would be the same as they would be in Canada (ie. Christmas and Easter), one look at Romulo’s work will show any educator that Filipinos truly celebrate in a different way. (See her page on All Saint’s Day!) This a wonderful way to start a discussion about cultural differences and the importance of keeping traditions alive— even in a new country. Romulo’s book also includes crafts such as Ati-Atihan Festival Masks and recipes such as Pastillas de Leche, making this book a multifaceted resource for primary classrooms. Romulo has also written Filipino Friends, Asian Children’s Favorite Stories, Filipino Children’s Favorite Stories, and My First Book of Tagalog Words, which are all published with Tuttle Press. Photo by the PASSOC committee. The PASSOC (Philippine Arts & Social Studies in the Ontario Curriculum) Project was designed in collaboration with the Toronto Catholic District School Board, the York Centre for Asian Research, and York University to provide a free Filipino-Canadian curriculum resource for Grades 6-8. Covering Social Studies, Geography, and Dance, this resource is invaluable for the educator seeking to provide culturally-responsive curriculum material. And it’s free! When Jesse goes back to his family home in the Philippines, he finds that he has inherited his Lola’s (grandmother’s) gift for seeing the supernatural. J. Torres is a Filipino-Canadian comic book writer who won the Shuster Award for Outstanding Writer for his work on Batman: Legends of the Dark Knight, Love as a Foreign Language and Teen Titans Go. He is also the writer of Alison Dare, Days Like This, and has also written for Avatar: The Last Airbender, Batman: The Brave and the Bold, Legion of Super-Heroes in the 31st Century, Ninja Scroll, Wonder Girl, Wonder Woman, and WALL-E: Recharge. Lola: A Ghost Story is the perfect graphic novel for readers interested in the eerier side of the Philippines. Millions of Filipino children have experienced family separation, and this book is the only one I’ve found that addresses this in a way that’s approachable for students in the middle grades. In O.C.W. : A Young Boy’s Search for his Mother, Tonio’s mother leaves for Hong Kong to make money to support her husband and children in the Philippines. But when their situation worsens, Tonio embarks on a quest to get to Hong Kong to bring his mother back home. From the darkest corners of Manila to the metropolis of Hong Kong, this story is unlike any other about the Filipino diaspora. A fictional story suitable for readers in the middle grades and reluctant readers in secondary school. Jasmine de los Santos is a Filipino-American growing up in California. She’s also a top scholar, a head cheerleader, and a valedictorian, too. But when she receives a scholarship that lets her go to any American university, her parents tell her something that changes her life forever: their family’s visas have expired, and their documents are forged. They are in America without green cards. As Jasmine travels to the White House, leads her team to the national cheerleading competition, and experiences the ups and downs of first love, she tries to overcome the biggest obstacle of all. Does she get deported, or does she find a way to stay? This fictional novel was inspired by the author’s own immigration experience— she moved to America as a teenager, but didn’t get citizenship for 28 years. 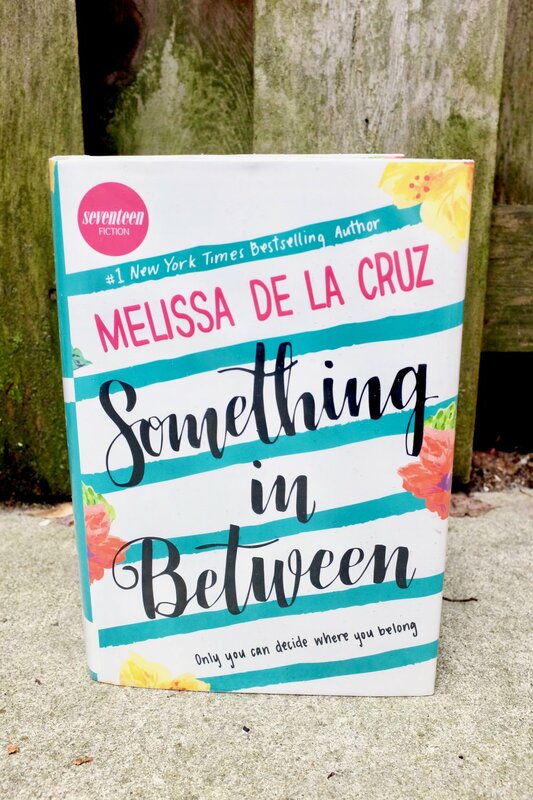 Although the American and Canadian experiences differ quite a bit (Filipinos aren’t commonly in Canada without status), Something in Between would still be a powerful addition to any YA shelf. When Vicenza’s family has to suddenly move from Manila to San Francisco, she has to adapt to a different country and to a different social class, too. They leave a life of private schools, designer clothes, and hired help to working in the Sears employee cafeteria, sleeping on mattresses held up with wooden planks and bricks, and shopping at the Salvation Army. Through it all, 14-year-old Vicenza writes to Peaches, her best friend back home, exaggerating how happy she is in her new American life. A groundbreaking graphic memoir by a Filipina-Canadian Lorina Mapa. Upon her father’s unexpected death in the Philippines, Lorina Mapa leaves Canada to return to her childhood home, where she is confronted with her memories of growing up in Manila in the 1980s. With references ranging from Depeche Mode and Duran Duran to Imelda Marcos and the 1986 People Power Revolution, Duran Duran, Imelda Marcos, and Me seamlessly blends popular culture and contemporary Philippine history. Perfect for students interested in politics, military coups, history, biography, and graphic novels. This list is always growing! Would you like to add something to it? Contact me!